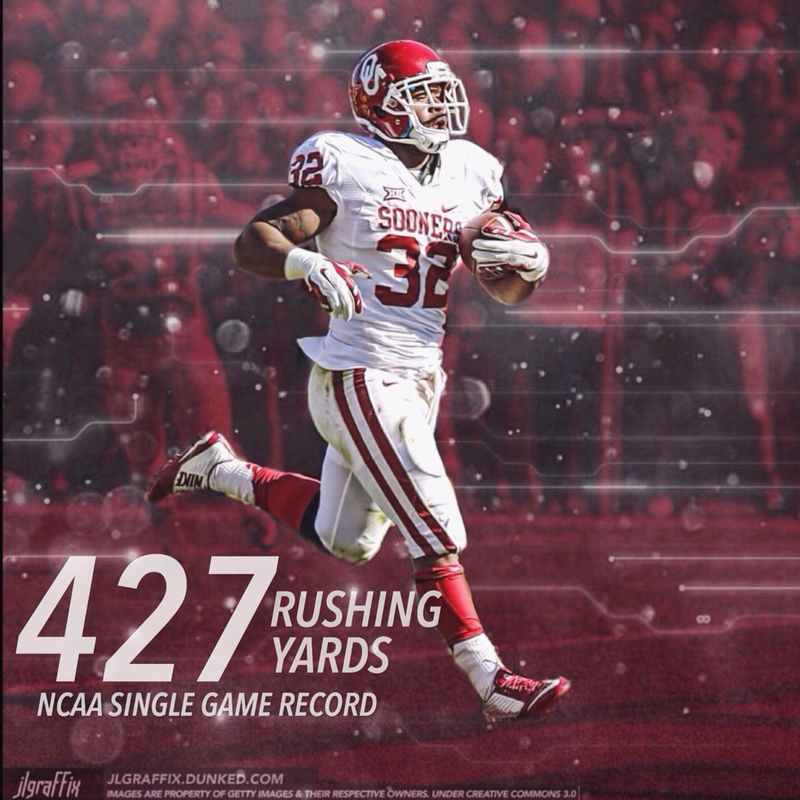 When Samaje Perine broke the FBS record and ran for 427 yards, I decided to make the guy an edit. It was a quick task that took only about 5 minutes, but it had my social media blowing up for days. 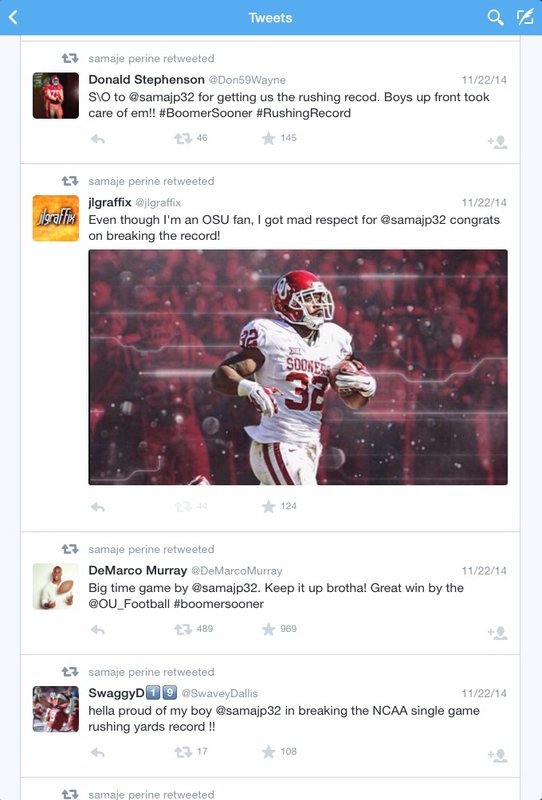 That one tweet received thousands of views and earned me a follow from the man himself, Samaje Perine. He later messaged me to thank me for the picture, serving as a reminder of why I do this. Despite my love of the Oklahoma State Cowboys, an Oklahoma Sooners running back went out of his way to thank me and compliment my work on HIS record setting day. That is what I love about social media, it has the power to connect people who normally would have never have encountered each other otherwise.